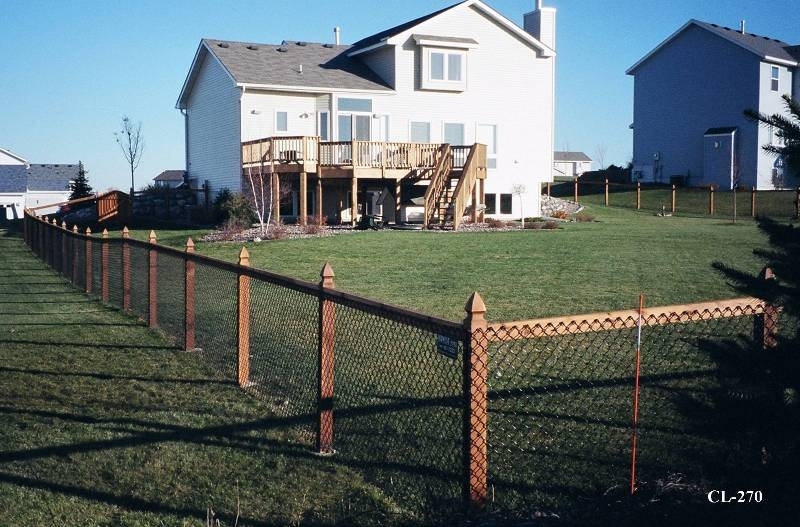 California style chain link fences combine the durability and affordability of chain link fencing with the unique and popular look of wood fencing. 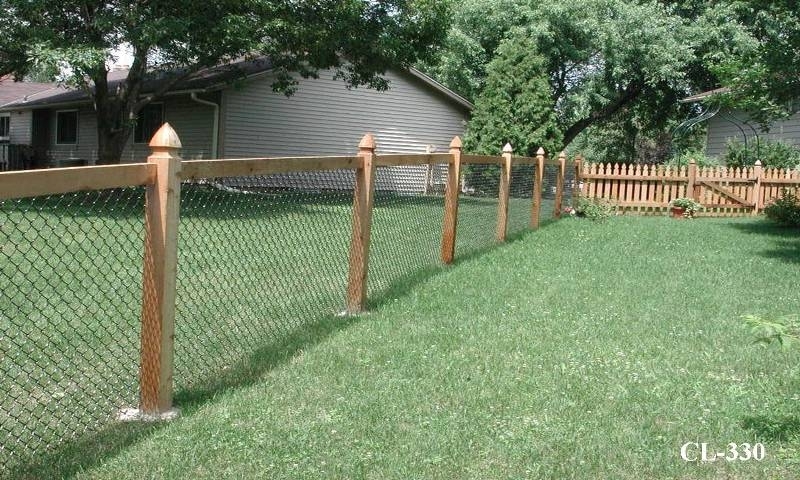 Wooden posts replace the steel ones used in traditional chain link fence and are typically connected at the top and bottom with wood beams. 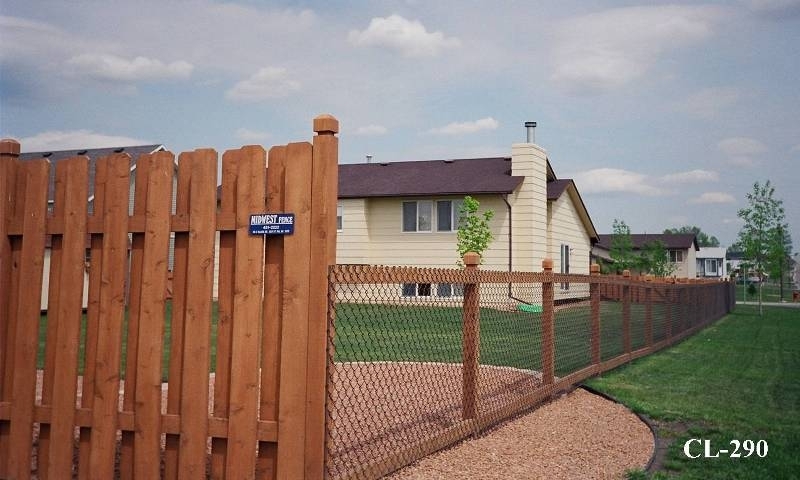 Chain link fencing is then connected to the wooden frame, providing that advantages of that fence with the style of the wooden frame. The combination provides your property a unique look while remaining affordable. They can be customized to suit your taste. 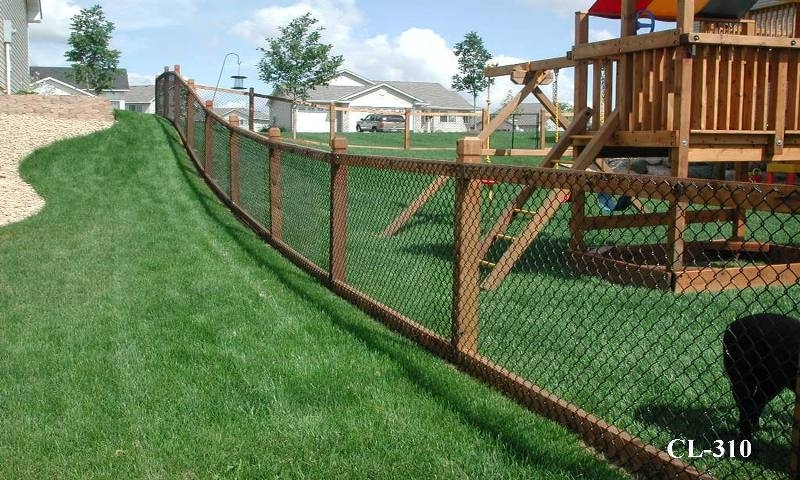 In addition to traditional galvanized chain link fence option, green or black vinyl coated chain link fence are options to provide an even more unique look. 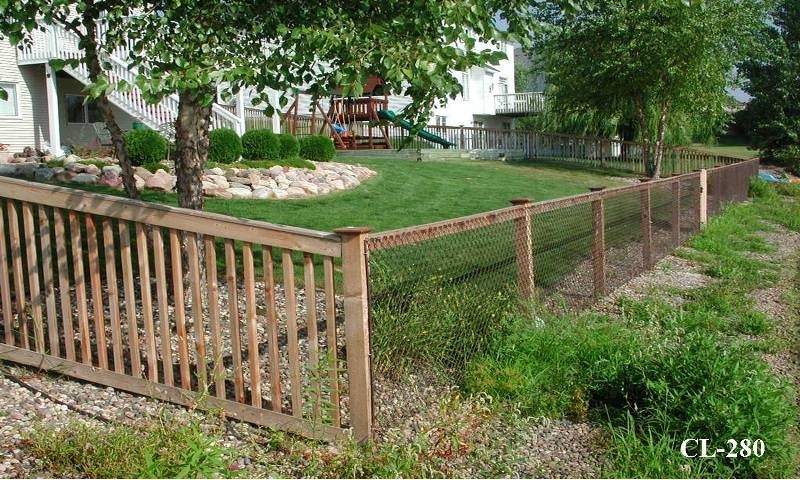 The California style chain link fence can be used similarly to regular chain link, including for homes to contain pets and children, for pools and to keep unwanted people or animals from your property. 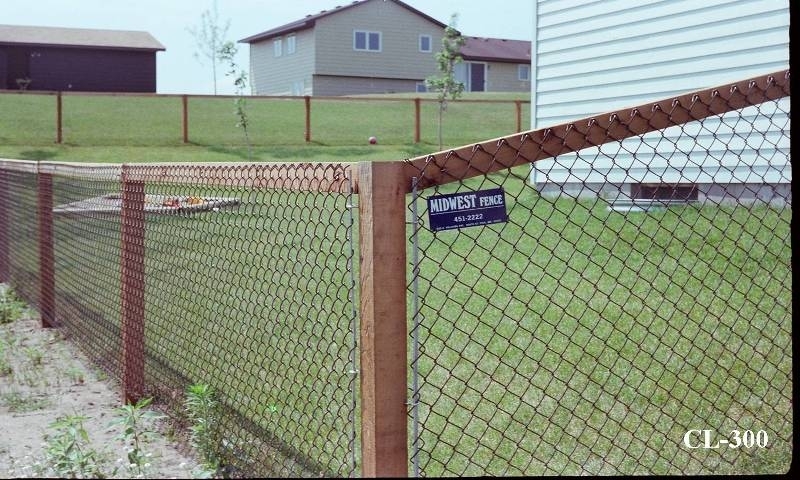 Midwest Fence provides a variety of finishes for California style chain link fences. Call 651-451-2222 for more information or to receive a free estimate. 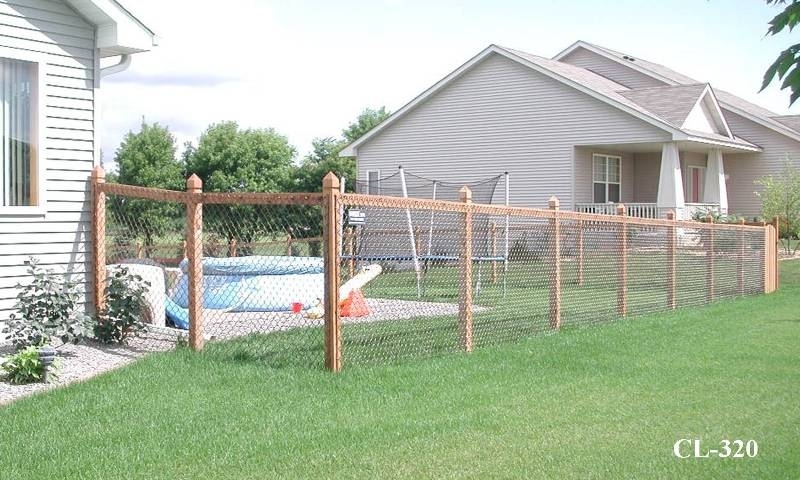 View examples of California style chain link fences installed in Twin Cities yards.